Hypertension, or high blood pressure, affects millions of Americans - and many don't know it, which means they're leaving themselves open to significant health risks. 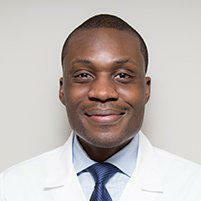 Dr. Dele-Michael offers New York City patients the most advanced treatment options for high blood pressure issues at his Manhattan office. Hypertension, or high blood pressure, is a condition that occurs when the pressure inside your blood vessels becomes elevated. As blood is pumped throughout your body, it exerts a pressure or force all along the inside walls of your blood vessels. When that pressure is too high, the force can cause damage not only to the blood vessels themselves but also to the organs. People with chronic high blood pressure often experience kidney damage, heart damage and loss of vision. Hypertension also increases the risk you'll have a heart attack or stroke. Generally speaking, any pressure above 120/80 mm Hg is considered to be high for most adults; however, factors like age can change the level considered to be normal by a relatively small amount. Hypertension causes no symptoms, which is why having a regular exam is so important. Most people never know they have high blood pressure until they visit their doctor's office and have their blood pressure measured with a blood pressure cuff. Your blood pressure reading will have two numbers: the first one is the systolic number which reflects the pressure in your vessels when your blood is pumping; the second number is your diastolic pressure and reflects the force of the blood in your vessels between beats. In many cases, lifestyle changes like eating a healthy diet that's low in fats and salt, losing excess weight and being more physically active can help reduce blood pressure. In some cases, medication can be prescribed to bring your blood pressure into a more normal range. 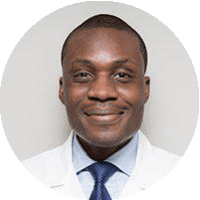 During your exam, Dr. Dele-Michael will review your personal and family health histories and perform a physical exam to determine the best options for your treatment.